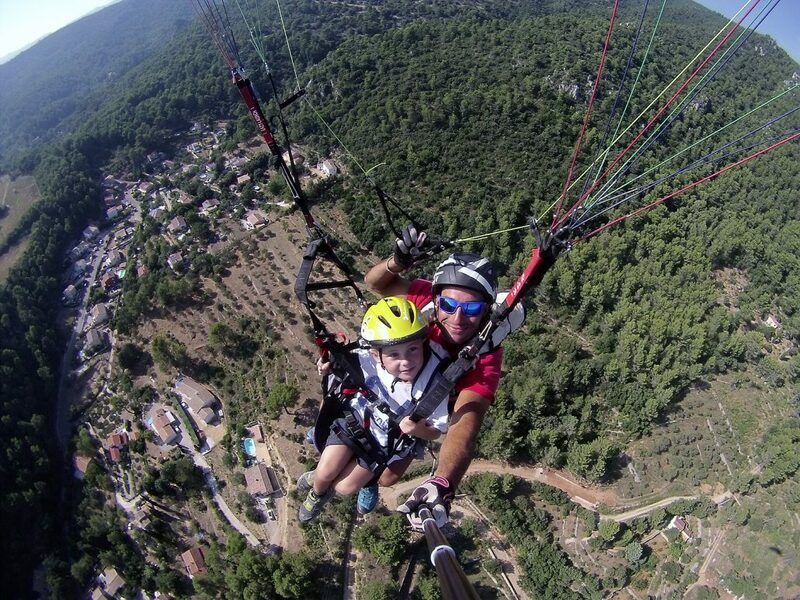 Enjoy an adventurous paragliding tandem flight and get the experience of your lifetime! Soaring with vulptures, thermalling over mountain ridges and admiring the world from a bird-eye-view. During the flight we take photos and videos so you can keep the experience alive in your memory. 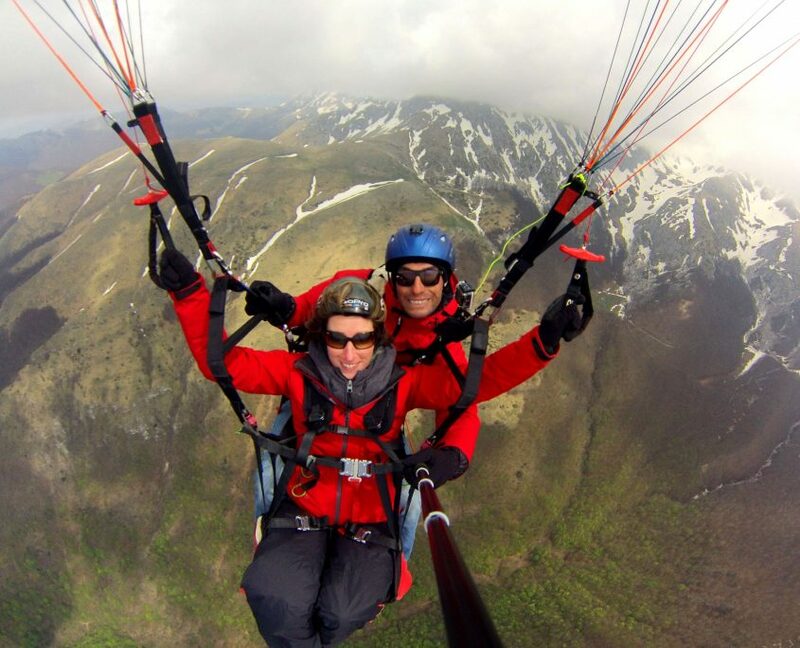 The instructor is a professional paragliding pilot with more than 15 years of experience. This is also very good as a present for a friend or family member! 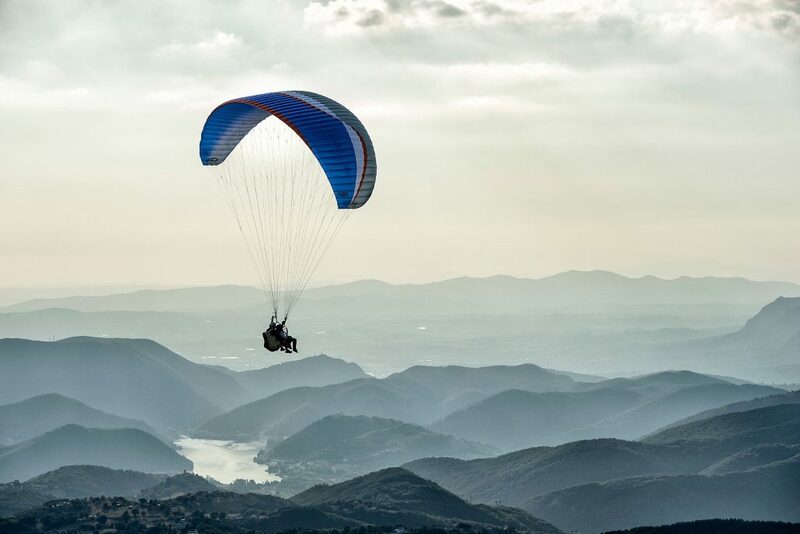 The panoramic flight gives you the perfect time to enjoy the sensation of free flight. 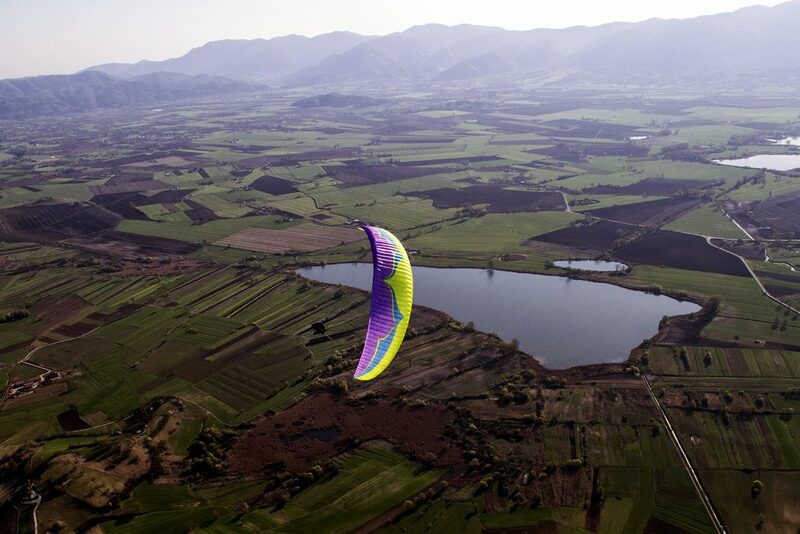 Soaring mountain ridges, gliding over the valley and observing the landscape from a birds-eye view. You can choose a gentle glide down or a more thrilling flight with aerobatic maneuvers. 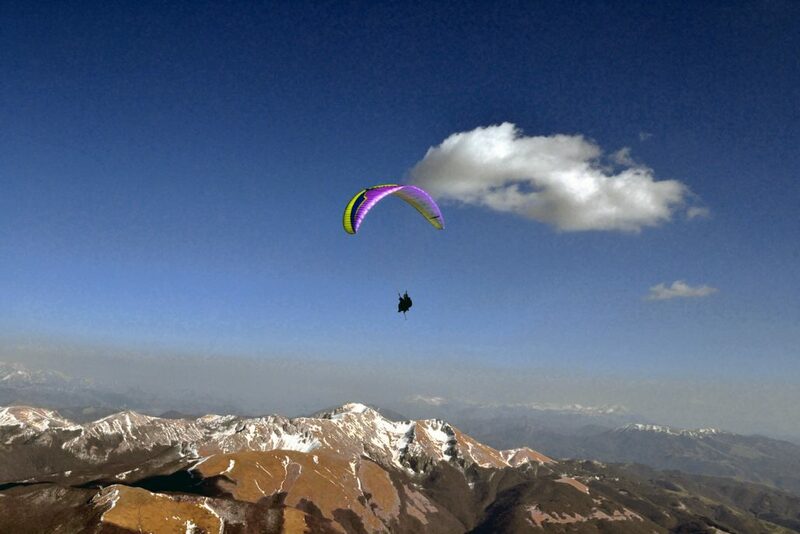 We will use the lifting air of the thermal to rise up, extend our flight and fly over the stunning Apennine Mountains. You can witness the dramatic landscape under your feet and have the ultimate sightseeing tour. If you are ready for a real adventure, this is your option. We extend the duration of airtime, cross over the mountains and valleys and land with a big smile. You can enjoy the astonishing views, try to pilot yourself and get a glimpse of how experienced pilots make their big XC flights. Safety is important for us. We will only fly in perfect weather conditions. One day prior to your planned flight we’ll give you a confirmation about the weather conditions. From the meeting point we drive you, with our van, up to the launch site. Here you’ll get a harness, helmet and run through a pre-flight briefing with your pilot. 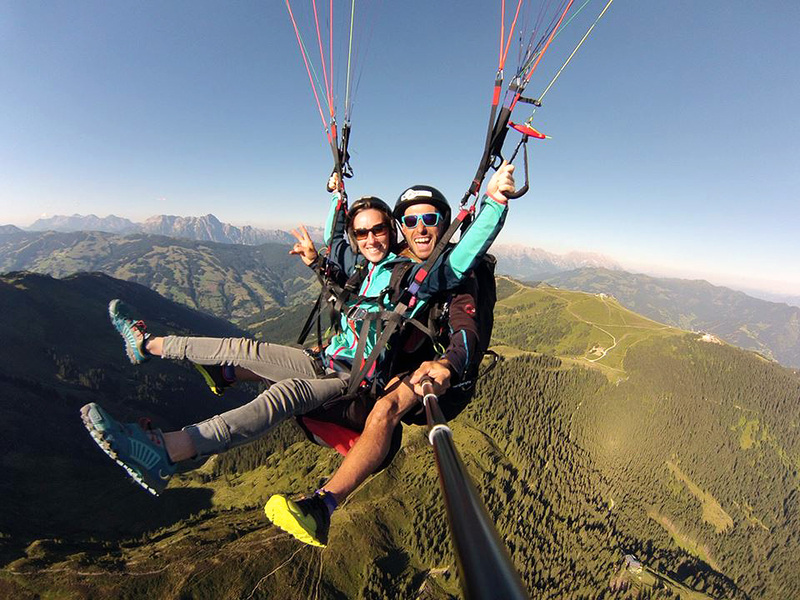 After a safety check and a few steps… you will be airborne, ready to enjoy the gorgeous panorama and the feeling of pure flying! The flight is tailored to you. Thrillseekers and those looking for a more relaxed pace are both served. No experience is required, all ages are welcome. Your pilot will guide you through the whole flight. Not advisable for pregnant women, people who suffer certain heart conditions or epilepsy. Please contact us if you have any questions. Shoes with a good grip, like sport shoes or hiking shoes, long trousers, a warm jacket and sunglasses. In the winter you can bring also a pair of gloves. Professionalism is key. We strive to give our customers the most rewarding adventure ever. Our pilots are well trained, have many years of experience and most of all, they enjoy fully sharing their passion. We can guide our customers in Italian, English, French, Spanish, Dutch, Greek and German. We fly the whole year round. Which tandem flight would you like to book?